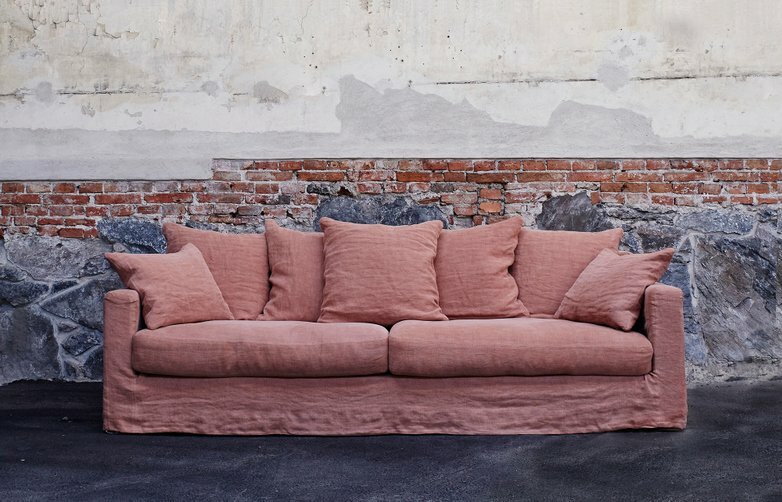 Sofa from Artilleriet. 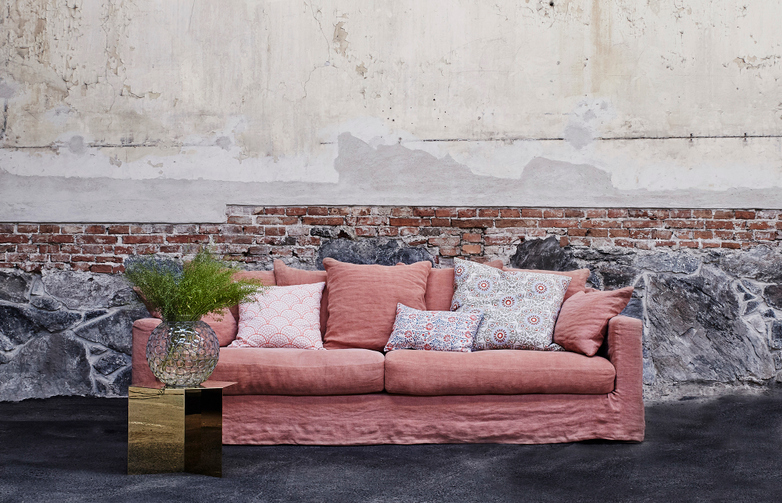 A high quality sofa which provides both an exclusive and relaxed impression. 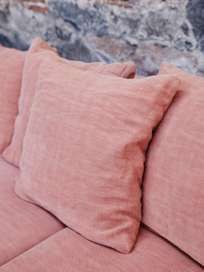 Upholstery in 100 % linen in four gorgeous colours. The entire cover is removable and can be dry cleaned. 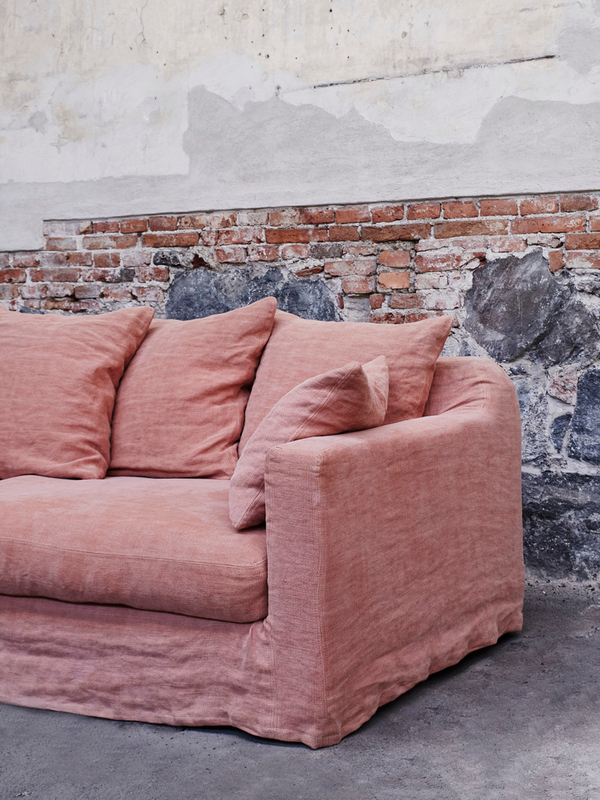 Loose back cushions create a comfortable and flexible sofa. Belleville comes in several different sizes and designs. 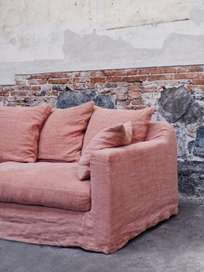 A sofa to live with for a long time. Frame of solid beech with Nozag spring. Generously sized seat cushions made of molded foam with feather/fibre filling for total comfort. 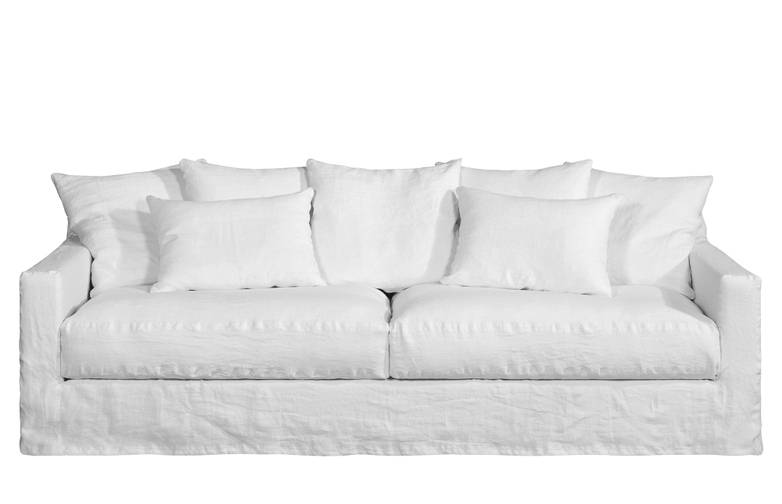 Loose back cushions filled with feather.